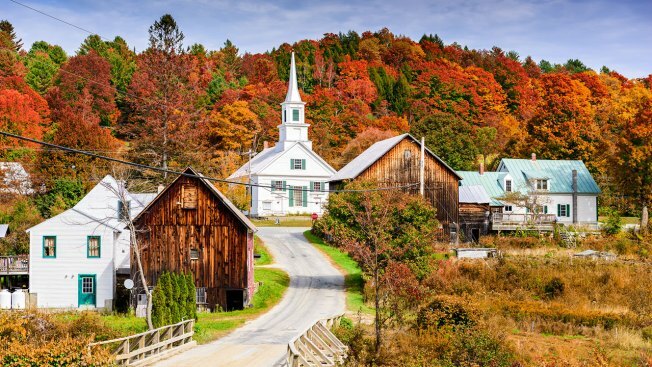 With its vibrant colors and charming towns, Vermont makes for the ultimate autumn road trip. This article is sponsored by VermontVacation. It does not reflect the work or opinions of NECN’s editorial staff. To learn more about Vermont, visit VermontVacation.com. Autumn is here, and that means it’s time to break out the sweaters and hit the road in search of that blissful weekend escape. For New Englanders eager to take in peak fall foliage, all roads lead to Vermont. With the country’s highest concentration of maple trees, the entire state is bursting with color, and you’ll experience all the red, orange and yellow splendor as you cruise from quaint town to quaint town and through pastoral settings. But Vermont is much more than just a postcard perfect landscape. Full of small cities and funky towns, the state is built upon authentic communities offering everything from farm fresh cuisine and craft beers, to contemporary art galleries, charming cafes and independent theaters. Untouched nature abounds too — explore well-maintained hiking trails or ride a bike along the shores of Lake Champlain — then rest up at a boutique hotel that you might never want to leave. Yes, Vermont has a lot of charms vying for your attention. Which means if you’re planning a visit it’s best to go with an itinerary. That’s why we’ve put together a two-day road trip packed with our favorite pit stops along the way. Kick things off in Burlington, a creative hub and college town with spectacular views of the serrated Adirondacks across Lake Champlain. Take in the scenery from the back of a bike as you ride the Island Line Rail Trail, 14 car-free miles of pavement and gentle dirt that traces the shoreline before taking you along a marble causeway. All that riding is sure to work up an appetite, so head to Pine Street for lunch or dinner, a hip neighborhood with everything from creperies to brick oven pizzerias to middle eastern eateries slinging pitch perfect Baba Ganoush. Want to make dinner count? Hit Hen of the Wood, whose locally-sourced, seasonal menu of new American cuisine has become the go-to spot among discerning foodies. Just 35-minutes southeast of Burlington sits Waterbury, an historic Vermont country town with an artisanal and entrepreneurial spirit. Checkout Little River State Park, where you can tour the abandoned farms of pioneers who once populated this early Vermont settlement, or rent a kayak and hit the Waterbury Reservoir. There’s plenty of campsites, from RV hookups to cabins. In town you’ll find the famous Ben & Jerry’s Factory — take a 30-minute tour to see how the ice cream is made and to sample their flavors. Afterward, get caffeinated at the Green Mountain Coffee Café, a visitor center housed in a restored 19th century train station. For lunch, Prohibition Pig Brewery — where locally sourced smoked meat and brewed on-site craft beers (keep it seasonal with their Oktoberfest) — is a must. With its gold domed State House and historic downtown capital district, Vermont state capital Montpelier offers up Rockwellian charms aplenty. 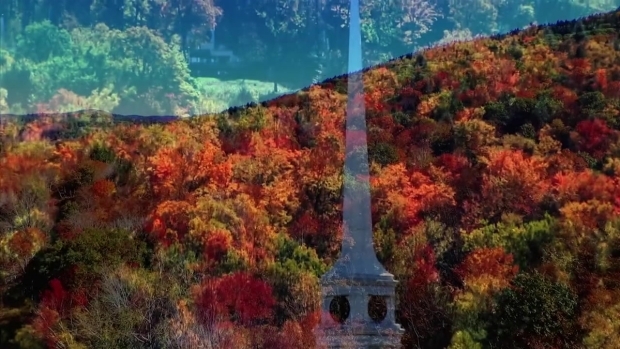 Tour the Greek and Renaissance Revival State House, where you can sit in legislative desks and peruse Civil War art, then hoof it to Hubbard Park to take in a bird’s eye view of town (and the surrounding Green Mountains) from the observation tower. All those red maples got you thinking of maple syrup? Pick up some of the finest amber around at Morse Farm Maple Sugarworks. Tucked in the picturesque Connecticut River Valley (think placid waters, covered bridges, and hillsides aflame with foliage), Windsor is the birthplace of Vermont and a hotbed of craftsmen and artisans. Head to Windsor Artisan Park, where you’ll find an immersive sculpture garden, local cheese mongers and Harpoon Brewery, whose ales are best swilled on the back patio. Looking for a stronger libation? Artisan Park is also home to Silo Distillery, makers of premium farm to barn to bottle vodkas, gins and whiskeys. For those feeling inspired by all the creativity afoot, there’s Simon Pearce, where you can take a glassblowing and pottery workshop. The last stop on your Tour du Vermont should be Brattleboro, a creative hotspot on the banks of the Connecticut River. Scope contemporary art exhibits at the Brattleboro Museum and Art Center by the likes of Roger Sandes, Wolf Kahn and Nathalie Miebach. Sip craft beers at Hermit Thrush Brewery (try the sour ale — fruity, tart and light, making it the perfect sessions beer), or pickup a bottle of artisanal bourbon at Saxtons River Distillery. Cap the day at the art deco Latchis Theater, offering everything from the latest hollywood hits to independent films to special live events. To start planning your fall getaway to Vermont, visit vermontvacation.com.